This new chapter in the brand’s history introduces a future where, once again, the driver is at the center of the design. A wide portfolio of original Alfa Romeo-approved accessories and merchandise ratchets up the personal, “built-just-for-you” feeling this charismatic ride naturally delivers. With Giulia, not only is the thrill of driving back, it’s better than ever. 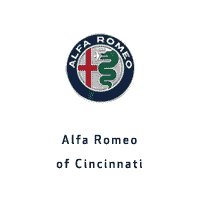 Call 513-268-5166 to order your Giulia accessories from Alfa Romeo of Cincinnati.